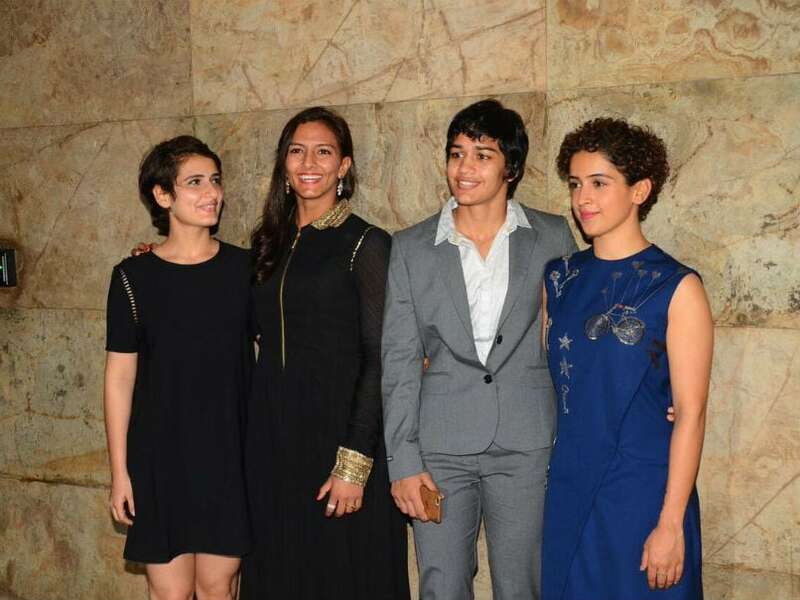 The Pro Wrestling League's star quotient is all set to take a massive hit after the Geeta Phogat and Babita Kumari Phogat, who are in the limelight following a blockbuster biopic on their struggle, were rendered doubtful for the ongoing season. The much in demand real-life 'Dangal' girls -- Geeta and Babita -- were roped in by the Uttar Pradesh franchise, which also exploited the success of Aamir Khan-starrer Bollywood movie and chose to name their team 'UP Dangal' in PWL-2. However, the two star wrestlers are now uncertain to take any further part in the tournament. While there are conflicting reports on Geeta's status, Babita has been laid low by an injury. While some sources are claiming that Geeta is under the weather with high fever, others are saying that she is carrying some niggles. According to the Wrestling Federation of India (WFI), replacements have been sought by the UP team for both Geeta and Babita. Pinki has been named as a replacement for Babita in women's 53kg, while Manisha has been brought in place of Geeta in women's 58kg. Another grappler Reshma Mane, who fights in a higher weight category, has been asked to reduce her weight to fit into 58kg, so that she could be an eventual replacement of Geeta as she is a better wrestler than Manisha. "Geeta and Babita are not pulling out of the tournament. They would be sticking with the team but in all probability would not take part in the competition further," a top official in the WFI told PTI. "In place of Babita, Pinki has been included in the UP Dangal squad, while Manisha has come in for Geeta for the time being but she is expected to eventually be replaced by Reshma Mane as UP team wanted her on the basis of her being a better grappler," the source added. In the match against Mumbai Maharathis on Saturday night, UP Dangal had fielded Manisha in place of Geeta in women's 58kg as the veteran wrestler was down with high fever and had been advised by her doctor not to take part in the match. Manisha lost 1-9 to Mumbai's Sarita. 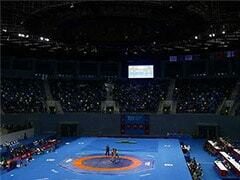 Meanwhile, owing to Mumbai blocking women's 53kg, Babita sat out of the tie on Saturday. In UP Dangal's opening match against Haryana Hammers, UP had chosen to block Geeta's category, while Babita was thrashed by Rio Olympics bronze-medallist Sofia Mattsson in just 46 seconds by virtue of a 'Win by Fall' verdict. "No one expected Babita to pull off the bout against Sofia, who is a very very strong wrestler, but going down in just 46 seconds dented Babita's confidence badly. She could have given at least a good fight had she been 100 per cent fit but Babita was already carrying some niggle," a source close to Babita claimed. "Also the fact that the promotion of the movie Dangal had not allowed enough time to both Geeta and Babita to prepare for the tournament. 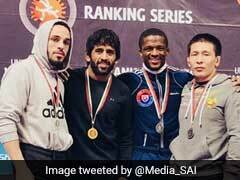 There is a slight chance that they would be seen in action in the rest of the competition but even if they do, it would not be more than one or two bouts," the source added. However, the UP Dangal team owners Investors Clinic officially denied that either Geeta or Babita are doubtful for the remaining of the competition, claiming that both would be fighting as soon as they are fit enough. "Geeta and Babita have suffered injuries as luggage fell on their feet while they were going for the Kapil Sharma Show. But they would be fine soon and would certainly be fighting in the tournament," Rakhi Sharma, Investors Clinic's AVP Marketing and Communications, claimed. Before the start of the tournament, both Geeta and Babita had said that they were unable to practice as much as they would have liked to as they were busy in the promotion of the movie. "Yes, we have been busy with the interviews and promotion of the movie but still we make sure to train at least once everyday. Generally we train twice a day," Babita and Geeta had earlier said.